The Boosey & Hawkes Bartók Edition showcases brand new stylish arrangements of highlights from the leading twentieth century composer for developing musicians to learn and enjoy. 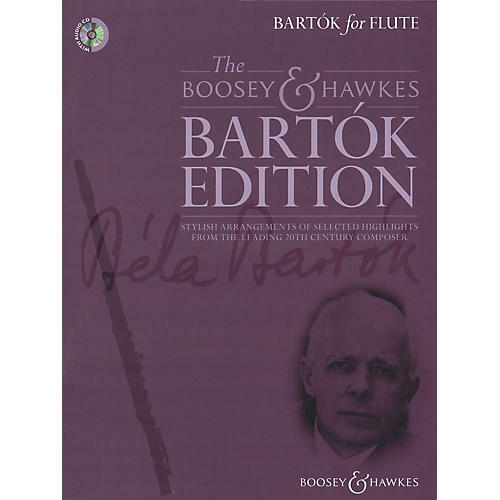 Bartók for Flute features selected highlights from Bartók's most popular pedagogical repertoire including For Children, Mikrokosmos, Romanian Folk Dances, Romanian Christmas Carols, and others, arranged for flute with piano accompaniment by Hywel Davies. An accompanying audio CD features demonstration and backing tracks.